Almonds growing on the tree. 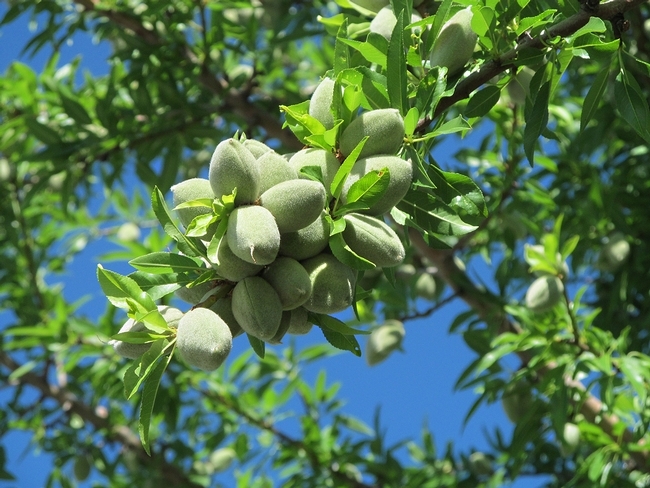 UC Agricultural Issues Center has released three new studies on the cost and returns of growing almonds in the Sacramento and San Joaquin valleys. One study focuses on organic production of almonds. The cost analyses are based on hypothetical farm operations of well-managed orchards, using practices common to each region. Growers, UC ANR Cooperative Extension farm advisors and other agricultural associates provided input and reviewed the methods and findings of the studies. Two studies estimate the costs for establishing and producing almonds grown in the northern San Joaquin Valley and Sacramento Valley using micro-sprinkler irrigation. These are multi-year studies, estimating costs from previous crop (orchard removal) through orchard establishment and the production years. 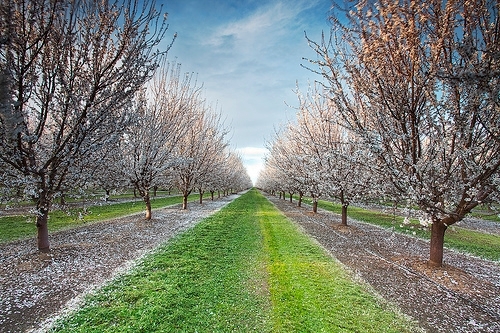 The study for organic almonds takes into consideration growing conditions in the northern San Joaquin Valley and complying with the National Organic Program. This study is based on an orchard that began the transition period and certification as organic after the second year of establishment. The trees in this study are in production and at full bearing. This organic almond orchard uses a solid-set sprinkler system. The economic life of the orchards used in this cost analysis is 25 years. The authors describe the assumptions used to identify current costs for the almond crop, material inputs, cash and non-cash overhead. A ranging analysis table shows profits over a range of prices and yields. Other tables show the monthly cash costs, the costs and returns per acre, hourly equipment costs, and the whole farm annual equipment, investment and business overhead costs. Free copies of these studies and other sample cost of production studies for many commodities are available. To download the cost studies, visit the UC Davis Department of Agricultural and Resource Economics website at http://coststudies.ucdavis.edu. For additional information or an explanation of the calculations used in the studies, contact Don Stewart at the Agricultural Issues Center at (530) 752-4651 or destewart@ucdavis.edu, or Christine Gutierrez at (530) 752-1520 or cagut@ucdavis.edu.